We are counted amid the well-known Weight Gainer Exporters in Lucknow. We offer Ankerite's X-C-Lent Weight Gainer that contains a combination of essential and non-assimilation. It is an ideal food, for those who cannot take their meals on time or have to skip their meals. 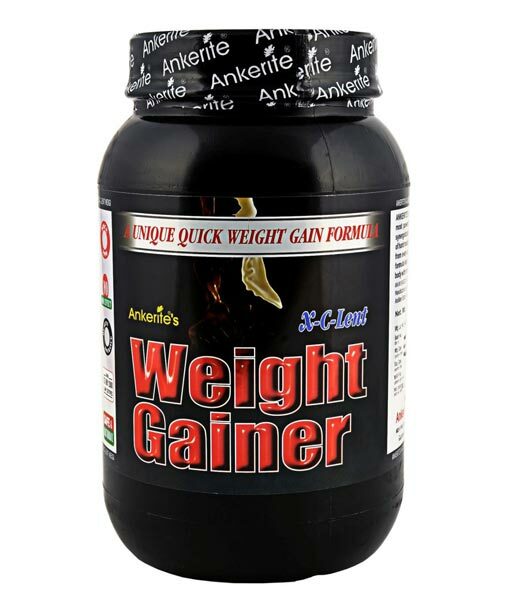 Ankerite's X-C-Lent Weight Gainer is the best weight gainer formula which provides essential power to build mass & also helpful to recover muscles. People who are lean and want to gain weight should try our weight gainer. It is prepared using quality ingredients and it is free from all sorts of adulterants. We are the noted Weight Gainer Exporters in Uttar Pradesh.